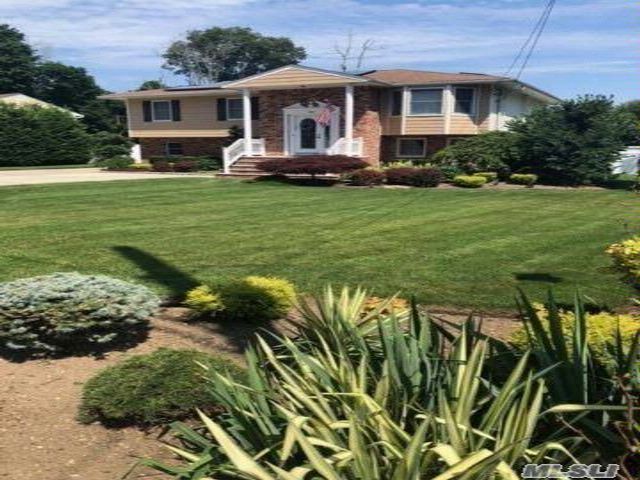 Beautiful Expanded Hi-Ranch "Huge" - In Amityville Village!! Detached Garage 28 x 31. Every Amenity - Central Air Conditioning, Sprinkler System, PVC Fencing, Stereo System, Solar, Top Of The Line Appliances, Storm Blinds, In-ground Pool, Professionally Landscaped (Park Like), Shed. Will Not Last! !